Free Download Manager features- support for Windows and Mac OS X- user-friendly interface with modern design- video downloading from popular websites- HTTP/HTTPS/FTP/BitTorrent support- proxy support- fast, safe and efficient downloadingIn addition, Free Download Manager allows you to adjust traffic usage, organize downloads, control file priorities for torrents, efficiently download large files and resume broken downloads.FDM can boost all your downloads up to 10 times, process media files of various popular formats, drag&drop URLs right from a web browser as well as simultaneously download multiple files.Our internet download manager is compatible with the most popular browsers Google Chrome, Mozilla Firefox, Microsoft Edge, Internet Explorer and Safari.Version 3.9 is recommended for Windows XP users. 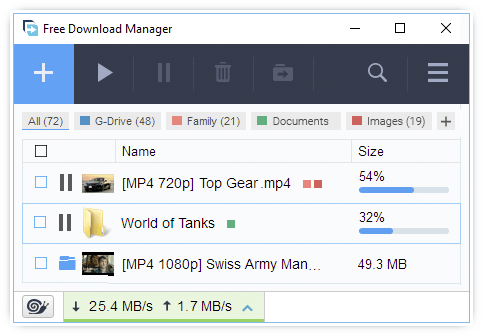 TorrentRatioKeeper allows you to increase your torrent ratio and keep it as high as you want. You can set increase settings for each tracker! It supports BitTorrent, uTorrent, BitComet, BitLord and Vuze torrent clients. Sothink SWF Catcher for Safari is a free Safari extension which enables you to easily capture and save rich Flash media of SWF format while using Safari browser, such as Flash movie, Flash banners, Flash game, Flash cartoons, Flash cards, etc. Aiseesoft Mac Video Downloader can help you download videos from popular online web to Mac. Besides, this Video Downloader for Mac has the ability to convert downloaded videos and videos in local disc to any popular video format.